Have you gotten into the slime fun that’s going on? 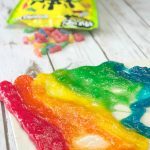 There are so many fun ways to create slime and we have tried many of them. I thought it would be really fun, though to make a non-toxic edible slime. 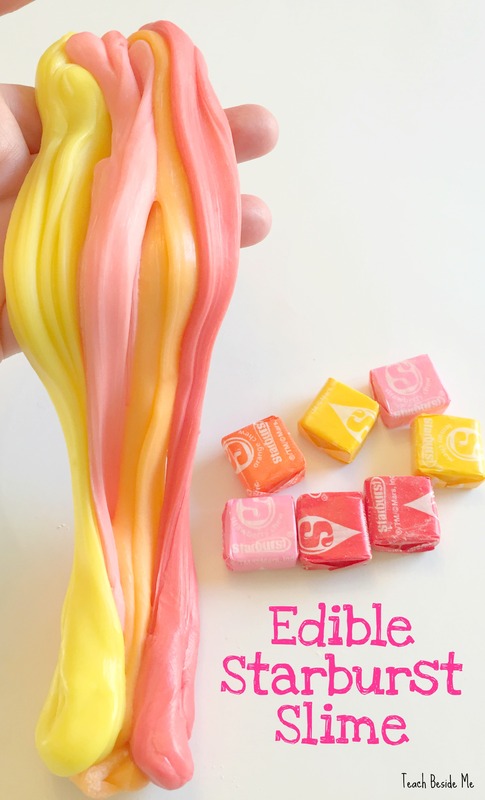 This is an edible Starburst Slime! 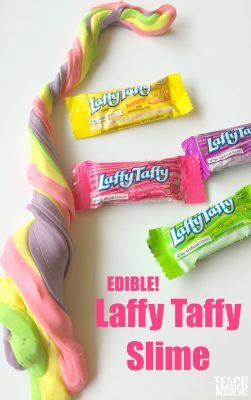 Yup- it is made from candy. Yum, right?!?! 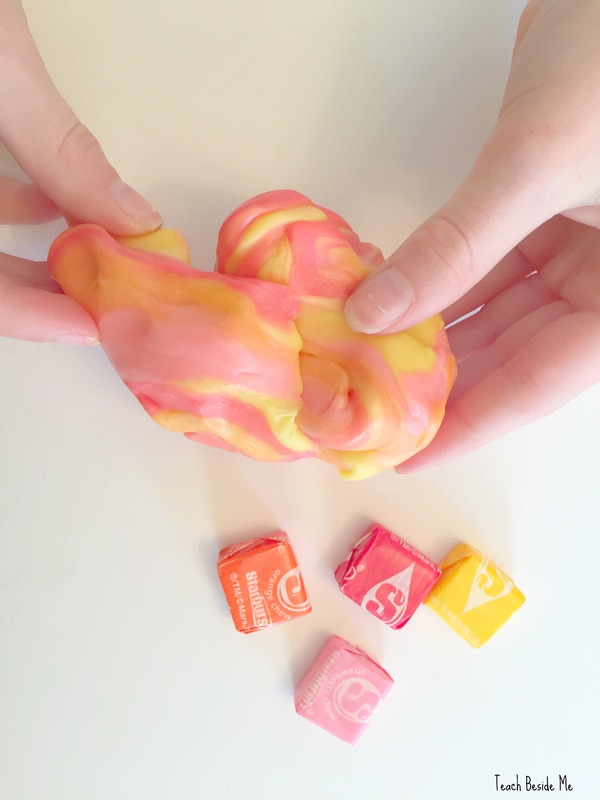 Who wouldn’t want to make some rainbow, stretchy, gooey and completely edible slime from Starburst candies? 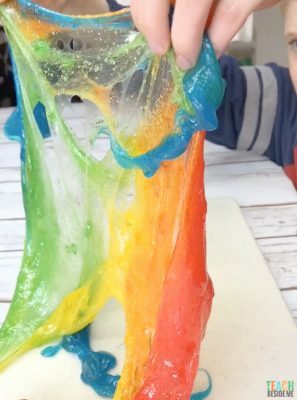 See even more edible slime recipes. The Starburst slime is stretchy and pretty sticky. 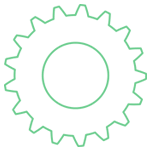 It is more clay-like in consistency and works best to play with when it is a little warm. It is easy to make, but does need some adult supervision since cooking is involved. 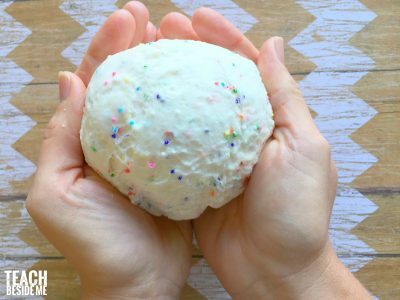 This edible slime only has 3 ingredients! 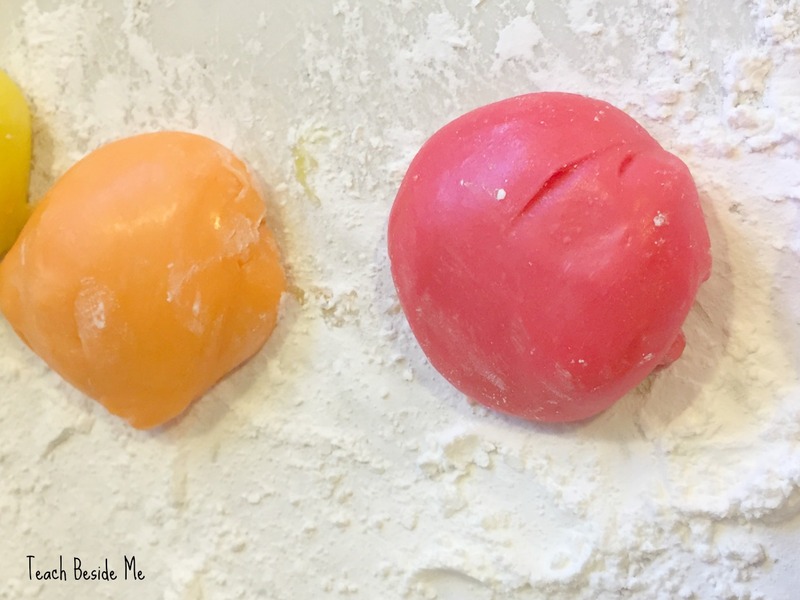 If you have ever made homemade marshmallow fondant for cake decorating, it is a LOT like that. Want my whole collection of edible slimes? 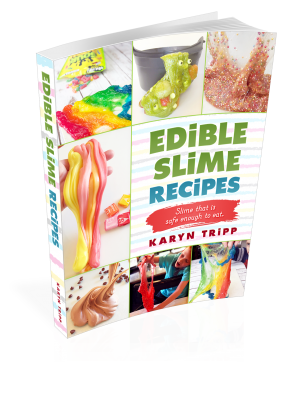 Grab my Edible Slime Recipes book! 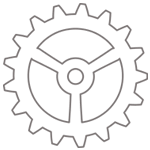 Gather materials. You will want a couple of small glass bowls and a pot of water to cook on the stove (or a microwave). 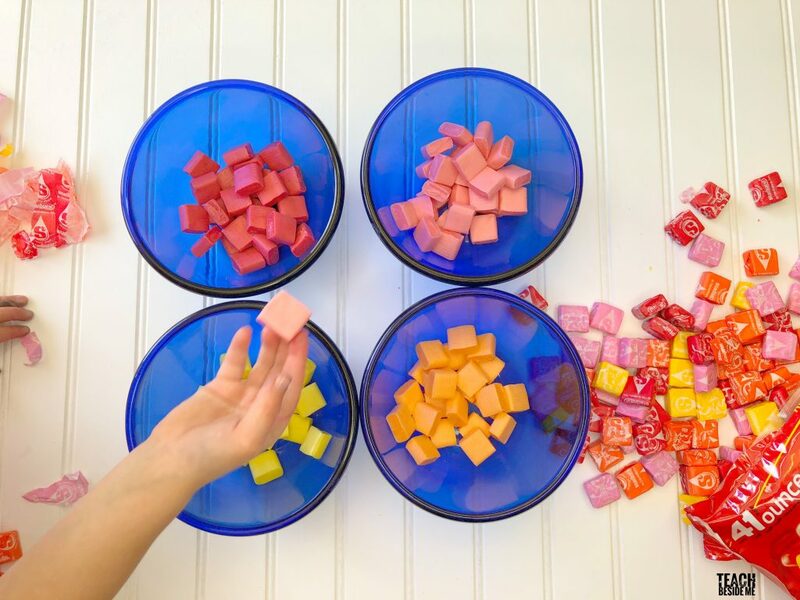 Divide the Starburst candies by color and unwrap. Place each color into a small glass bowl. 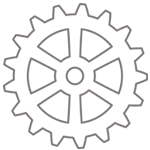 Mix ¼ c. powdered sugar with ¼ c. cornstarch. 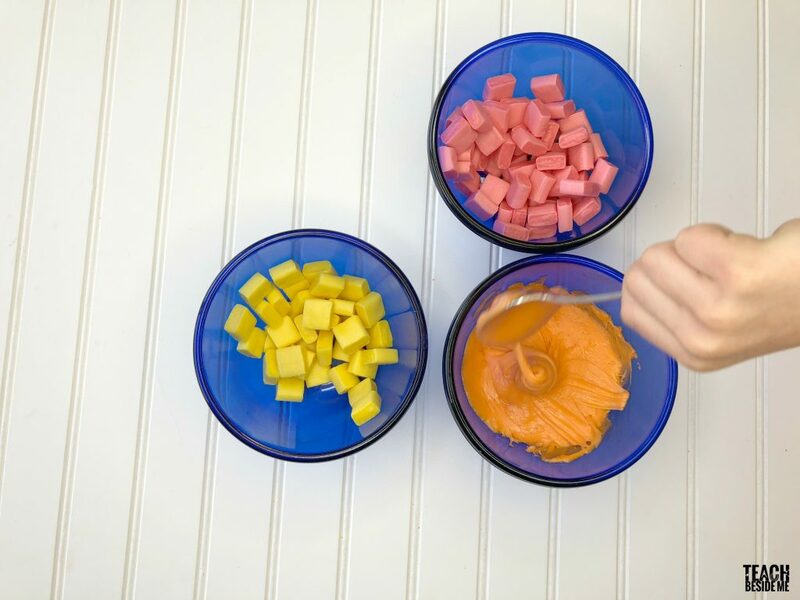 Boil a pot of water and place the glass bowl into the pot to melt the Starburst candies. (Making it like a double boiler). Stir regularly to prevent burning. Once melted, remove from heat. You can also do it in the microwave for 2 – 30 second increments, stirring in between. Turn onto a surface dusted with the cornstarch and powdered sugar mixture. Wait about five minutes until cooled. It can burn you at this point, so REALLY be careful! Knead the melted candy with the powdered sugar mixture. 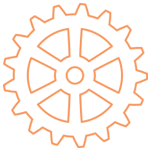 Be sure to pull it and stretch it as you knead to let a lot of air into it. This will help it to be less sticky and more stretchy. Now it is time to play! Make sure to wash their hands first if they want to eat their Starburst slime. My kids wanted to immediately mix all of the colors and see how it looked. How does it work? There is some science behind it. 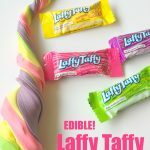 When the candy is melted and then kneaded, air bubbles are incorporated into the candy ( like taffy), making it lighter and stretchier. 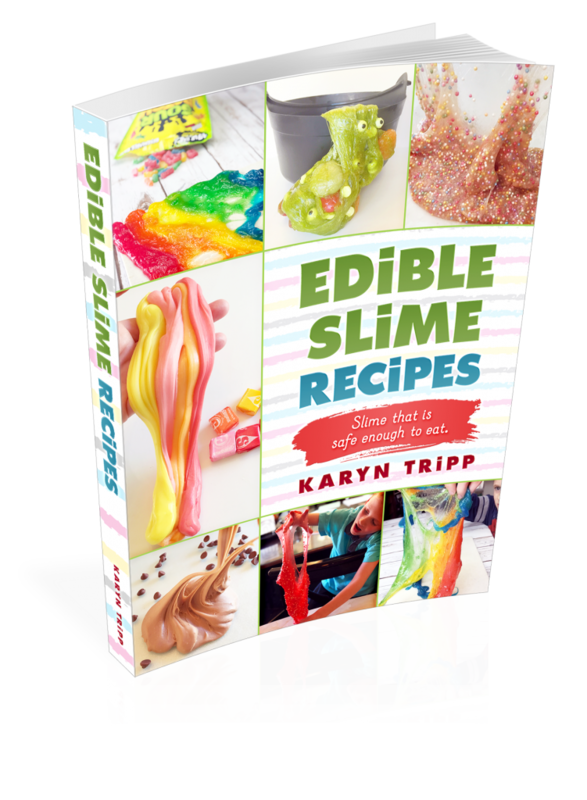 Grab the Edible Slime recipe book! Want Some More Super Fun Edible Experiments? 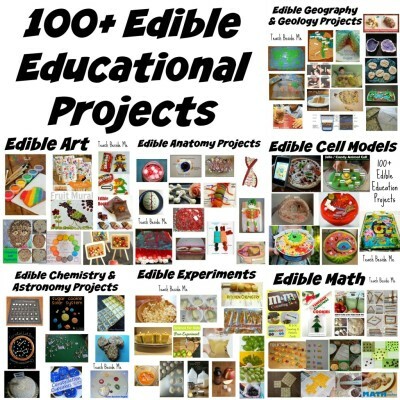 And this post on 100 Edible Education Projects!! 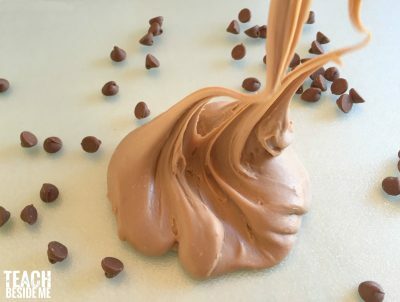 Want a Couple More Edible Slime Ideas? Check out this Peeps Slime from Little Bins for Little Hands. She is basically the Slime Expert! This Candy Chemistry Slime from Schooling a Monkey is really great, too! 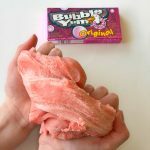 Edible Valentine’s Slime from Kids Activities Blog looks fun, too! I tried this and the slime just got hard as it cooled. Never got less sticky. The more I kneaded and stretched it and added the corn starch/powdered sugar mixture, the harder it got. Are you supposed to add all the mixture? Or just some to make less sticky? I just kneaded some in until it was less sticky. It does harden as it cools, yes, but you can pop it in the microwave for 10 seconds to soften it back up again. What size bag of starburst? Just the regular small size is what I used for this one. 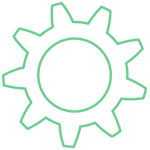 Can you melt the Starburst in the microwave instead of using a double boiler? Yes! I have tried it that way since & it works the same. How much does one small bag of Starburst make? 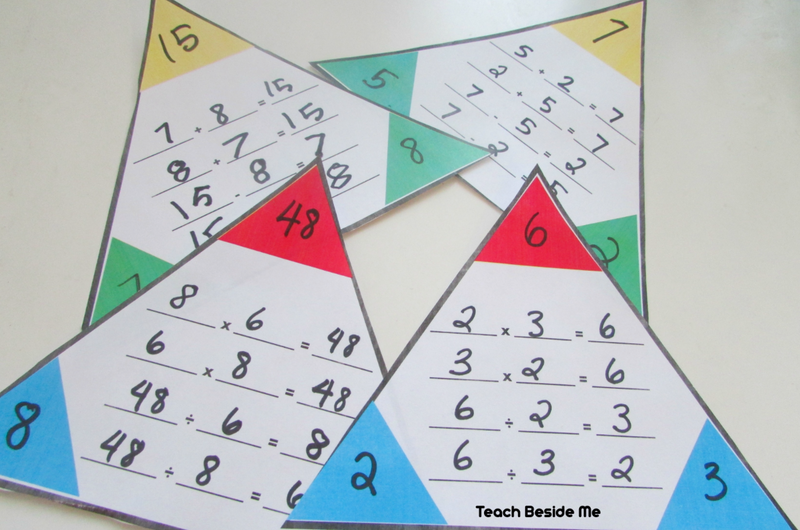 I’m planning on doing this activity with 15 teens and I want to make sure we have enough for everyone. It does not make a large amount. I would definitely have a few bags for that many kids. instead of using starburst can it be skittles? I am also curious how many starburstnfor each batch of color? You say that you just use a small bag, but there are varying amounts of each color in the bag. 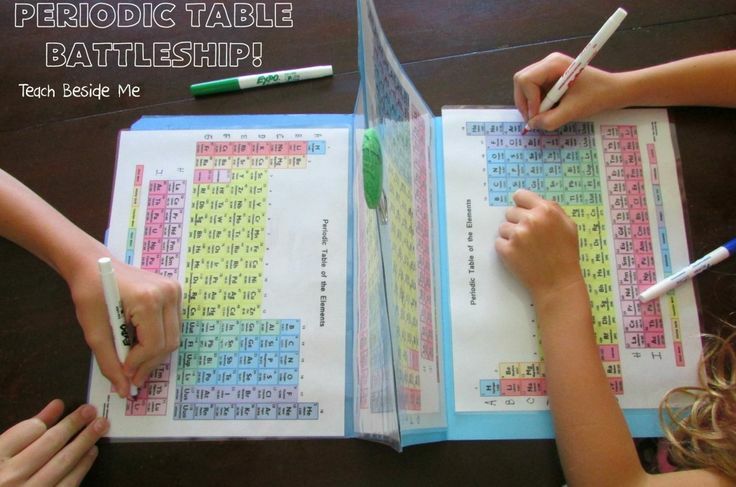 My kids loved this! We made this in microwave safe bowls…it took less than a minute for each color. Make sure and spray the bowls and spoon with Pam, it made it much easier to pour the melted starburst onto the cornstarch/powdered sugar mixture, and therefore less mess. It does harden as it cools, but as she says you can pop it back in the microwave to soften it out. Does anyone know how long/well it stores for? Like if I make it now and put it in a Tupperware will it flatten and harden out right away? 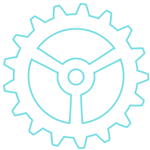 It will keep for a long time, you will just have to re-warm it to when you are ready to play with it again. 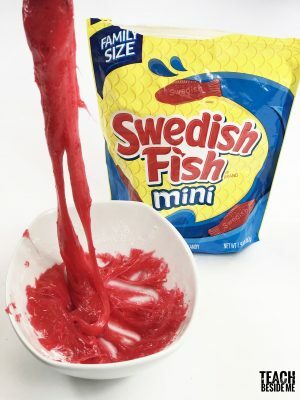 It all started at the gas station after watching a video do someone making edible starburst slime. We got some starburst and some cornstarch off the pennies in our pocket in the hopes of getting away from the troubles in our lives and having some fun. Little did we know this would be the worst mistake of our lives. At about 10 we began the process on the stove but eventually switched to the microwave. After almost exploding the microwave we let it sit for 5 minutes and began the process. Not only was it sizzling the skin off of my fingers but it was also still solid. Yes we messed up the cornstarch and sugar amount but still let’s not acknowledge that. While the skin was sizzling off of my fingers my friends nose started to drip a eerie crimson liquid into the “slime”. blood. So as we you can guess we ended with a hardened rock of doom which contained our deceased hopes and dreams. The kitchen? long gone. The bowls we used? gone forever. 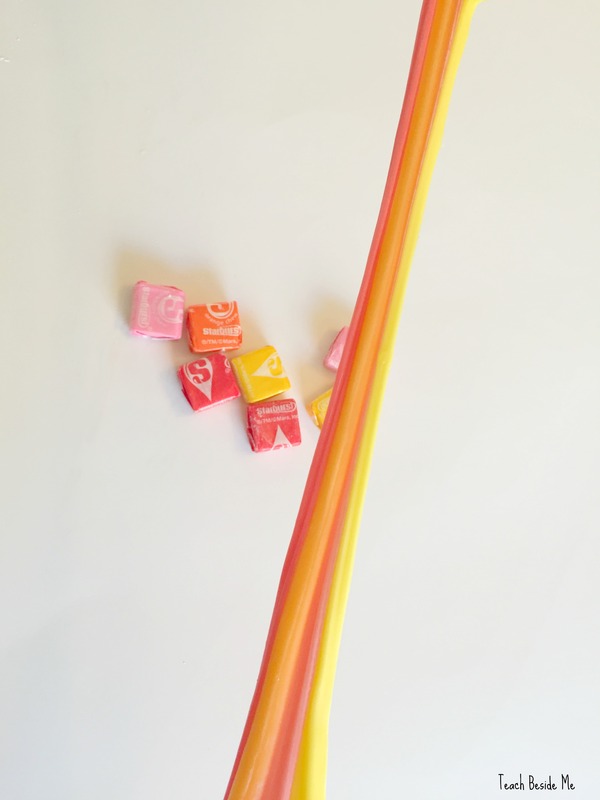 As I sit retelling this trauma my friend sit next to me crying while bleeding knawing on what was supposed to be “Starburst Edible Slime” but ended as the worst night of our lives.